Cigi brings an exciting and unique background to the Synergy Team. She graduated from the University of Kentucky in 2014 where she studied Integrated Strategic Communications with an emphasis on account management. However, she attributes most of her account management skills to jumping in and getting her hands dirty, learning the work hands-on rather than in a book. During her time at UK she spent two years as a brand ambassador for Microsoft, promoted multiple concert tours, music festivals, and TV show launches. During college she landed a promotions internship with iHeartMedia, once her internship ended she was hired to do promo events, concerts, produce radio shows and even record a few commercials! She also interned in Nashville at Sony/ATV Music publishing and Nashville Songwriters association during the summer. Upon graduation, she went to Los Angeles to do a project for the GRAMMY Foundation and was hired shortly after that project by Sony in Nashville. 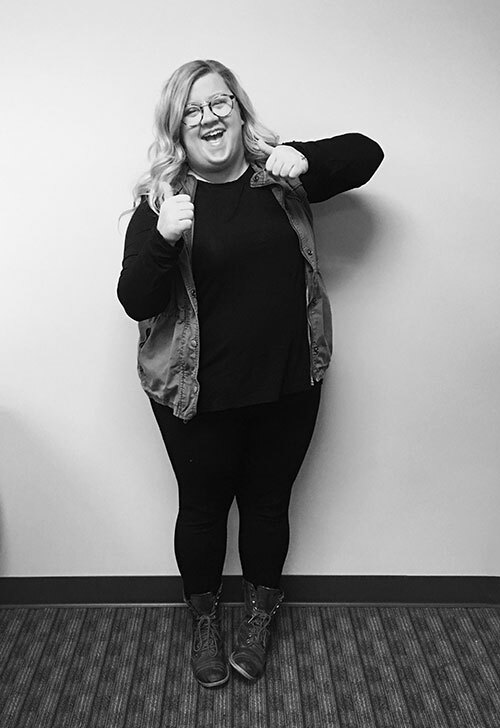 Logan’s Roadhouse (headquartered in Nashville) recruited her and gave her a unique opportunity to bring her Events, Marketing and Music Industry background to a union and asked her to launch their Local Store Marketing program. At Logan’s she was hired to essentially act as an internal experiential marketing agency. Building out multiple programs from the ground up and launching them all across the country, all with great results, ignited a passion for experiential work on the agency side. Although driven by end results and seeing hard work come to fruition, Cigi’s other passion is people and relationships. She recognizes that success comes from having great relationships whether that be client, internal colleagues, or field staff. Why Chicago? The Second City and comedy brought Cigi to Chicago. She is in the Conservatory program at The Second City and absolutely loves it. Comedy and improv are Cigi’s hidden weapon in the work force (not too hidden though, she’s almost always laughing). Improv has made her a pro at thinking on her feet, a true team player and always finding the joy in any situation good or bad. There’s a good chance is she’s not at work you can catch her on a stage somewhere around the city performing. Does it get any better than having the best colleagues and clients around and getting to make people laugh with your friends at night?? Definitely not! There are only 4 oceans but infinity pools that overlook the ocean are really cool and studies show they have less sharks.